The Norwegian Helsinki Committee awards The Andrei Sakharov Freedom Award in 2014 to political prisoners in Azerbaijan. They exhibit great courage and make huge efforts in promoting dignity, democratic values and human rights in their home country. Azerbaijan is a European country that is developing towards dictatorship, says Secretary General of the Norwegian Helsinki Committee (NHC), Bjørn Engesland, in today’s press release. This award is given to all of the political prisoners. It is a sad fact that they are too numerous to all be mentioned here. The authorities in oil and gas-rich Azerbaijan by the Caspian Sea have for years brutally silenced critics by accusing them of fictive crimes and then sentencing them to lengthy prison terms. Local human rights activists have, by applying the Council of Europe’s criteria, identified 98 political prisoners in the country. Among these prisoners, we find some of the most knowledgeable, experienced and visible human rights defenders, journalists, youth activists and opposition politicians. Several of the NHC partners and friends are behind bars, either on remand or already sentenced to many years of incarceration. Civil society in Azerbaijan is being crushed – and one of Norway’s partner countries is increasingly taking the appearance of a dictatorship. Norwegian oil company Statoil is one of the biggest actors in Azerbaijan. –We have a shared responsibility to recognize the terrible situation all these political prisoners are in. We must give them the status they deserve and make a concerted effort to demand that the authorities in Azerbaijan free prisoners and stop their abusive attacks on legitimate expression of opinion, says Engesland. – European institutions and the diplomatic community have not honored their responsibilities when it comes to Azerbaijan. Among the 98 political prisoners there are 13 journalists and bloggers, 10 human rights defenders and other civil society actors and lawyers, nine youth activists, a key opposition leader and many other opposing voices and religious activists. One of the political prisoners is Leyla Yunus (born 1955). Yunus has since the nineties been one of Azerbaijan’s most prominent human rights defenders and peace activists, and has been an important partner for the Norwegian Helsinki Committee. She has been particularly active in matters of political prisoners and has identified by name those considered responsible for political convictions. She was instrumental in the preparation of a comprehensive list of the 98 names of political prisoners which was published last August. She was detained on July 30 this year, and is charged with a long list of crimes, the most serious being that of treason, which can give her life imprisonment. Her husband, the historian and reconciliation activist Arif Yunus, is also imprisoned with the same serious charges. Among other prominent political prisoners are Anar Mammadli (born 1978), who was sentenced to five and a half years in prison last May. Anar Mammadli heads the country’s most respected organisation of election observation, and was in reality imprisoned for his organisation’s critical reports on Azerbaijan‘s undemocratic elections. His deputy Bashir Suleymanli was convicted in the same case. Rasul Jafarov was detained on 2 August 2014 and recently celebrated his 30th birthday in jail. He is a jurist and has been actively involved in combatting the government’s legal assaults against journalists, and has become one of the most active campaign leaders in human rights issues, including the famous Sing for Democracy-campaign during the Eurovision Song Contest in Baku in 2012. Intigam Aliyev (born 1962) is a well-known lawyer and defender of politically persecuted persons, who has brought numerous cases against Azerbaijan to the European Court of Human Rights with success. Aliyev was detained in August 2014, and is charged with serious crimes under false accusations. The human rights crisis has been ongoing in Azerbaijan for many years, but the authorities have still not faced very strong reactions from the outside world. Azerbaijan has been a member of the Council of Europe since 2001. One of the many conditions that were set for membership was that Azerbaijan released political prisoners. Almost 14 years later, Azerbaijan has assumed the Presidency of the Council of Europe’s Committee of Ministers, and jails opponents more aggressively than ever. Just weeks after Azerbaijan took over the chairmanship in May 2014, a new wave of detention of activists started. 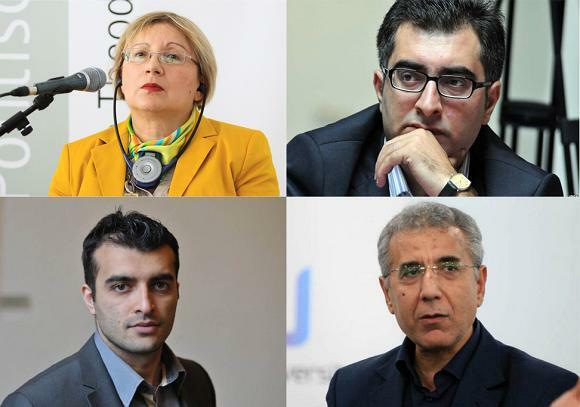 In what appears as a sign of contempt against the Council of Europe institutions, this wave in particular hit human rights defenders who have worked hard with the Council for the recognition and release of Azerbaijani political prisoners. After all these years, the Parliamentary Assembly of the Council of Europe has still been unable to agree on a report on political prisoners in Azerbaijan. Local human rights activists took the work upon themselves, a job which has brought several of them in prison.